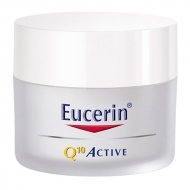 Promotes cell regeneration through the action of physiological Coenzyme Q10. 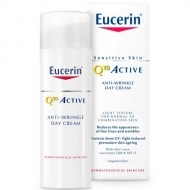 DESCRIPTION: Q10 Active Eye Care from Eucerin is a daily anti-wrinkle eye contour care. Formulated with Q10 conenzyme, a nutrient, which stimulates and improves the regeneration capacity of the cells, attenuating the most marked traits. It also contains sunscreens that allow high protection against UVA and UVB rays. 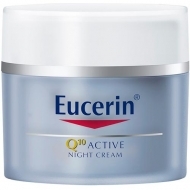 Its soft texture provides immediate comfort and a more youthful look. 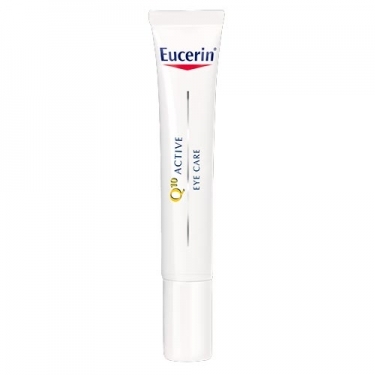 This care is indicated for very sensitive eyes and contact lens wearers. Non-comedogenic. Without perfume. No dyes. No alcohol. Wait five to ten minutes before applying the make-up.